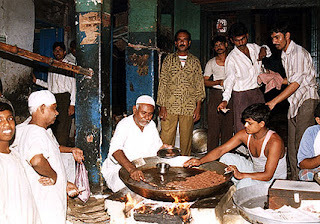 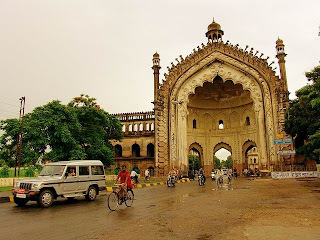 The capital of Uttar Pradesh, Lucknow is largely the creation of the nawabs of Oudh, Muslim rulers who controlled a region of north-central India for almost a century after the decline of the Moghul Empire. 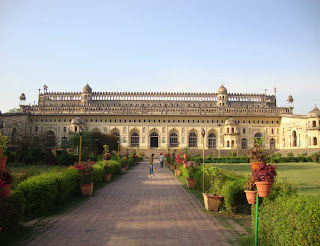 The nawabs ruled eccentrically, flamboyantly and badly but whatever their shortcomings, Lucknow's reputation as a city of culture and gracious living stems from this time. 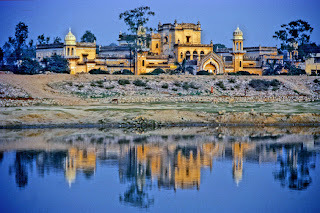 Today it's a city of crumbling mausoleums, pock-marked ruins, rich Mughlai cuisine and outrageous pollution. The city's most striking building is the Bara Imambara mausoleum, built as a famine-relief project in 1784 by Asaf-ud-Daula. 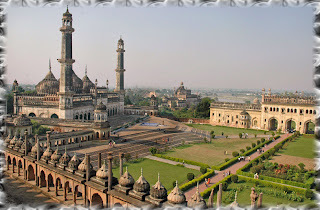 It has one of the largest vaulted galleries in the world, an amazing labyrinth, a bottomless well and views over the city from the roof. 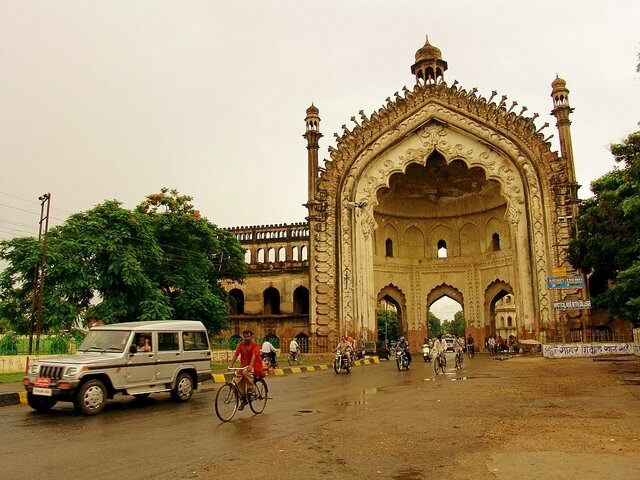 Beside the Bara Imambara, and also built by Asaf-ud-Daula, is the imposing Rumi Darwaza, an impressive replica of an entrance gate built in Istanbul. 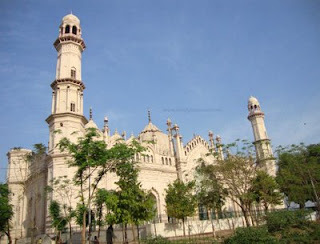 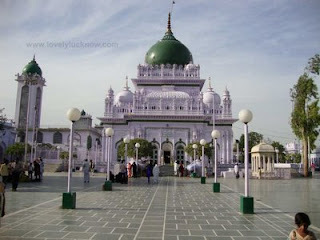 Nearby is the Hussainabad Imambara, which was built in 1837 by Muhammed Ali Shah to serve as his own mausoleum. 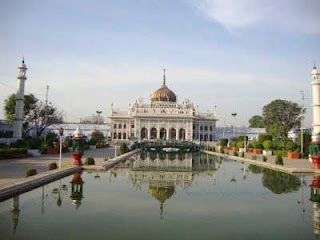 It contains small imitations of the Taj Mahal, and houses a silver throne, tacky chandeliers and various paraphernalia of state. 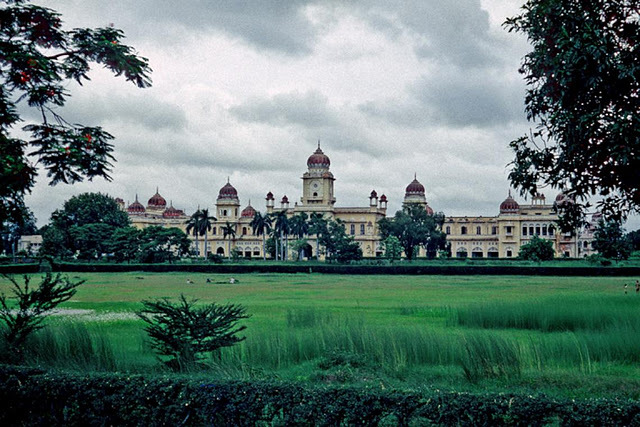 The city's most evocative remnant is the Residency. 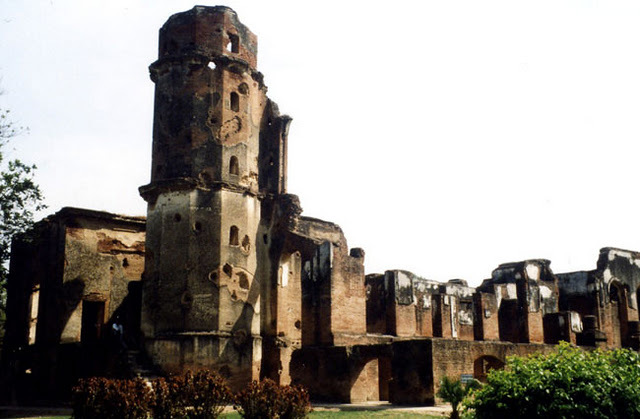 Built in 1800, it became the stage for the Siege of Lucknow, the most dramatic event of the 1857 Mutiny. 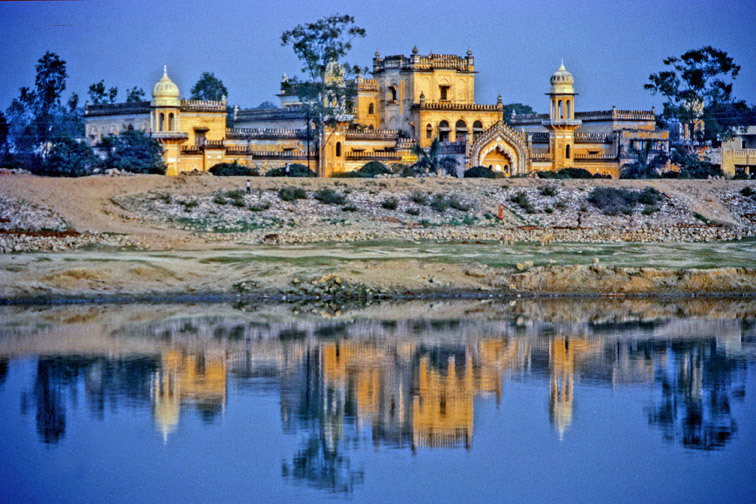 A small British garrison, under the command of Sir Henry Lawrence, held out in the Residency for three months, only to be surrounded by mutineers again for a further two months after supposedly being relieved. Left exactly as it was at the time of the final relief, the group of buildings retain an eerie echo of battle: shattered walls scarred by cannon shot; musty cellars where many of the women and children sought refuge; and, outside, a cemetery holding the graves of over 2000 people, including that of the unfortunate Sir Henry. Even after witnessing tremendous modernization, Lucknow has managed to retain its age-old charm and glory. The warmth, the hospitality and the formality of the city have still not been lost. The era of the nawabs also gifted Lucknow with the literature, music, dance and arts and crafts that draw tourists here. 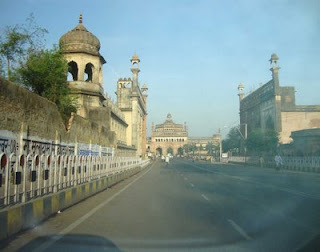 Infact, it was in the streets of the city only that Tabla and Sitar were born. 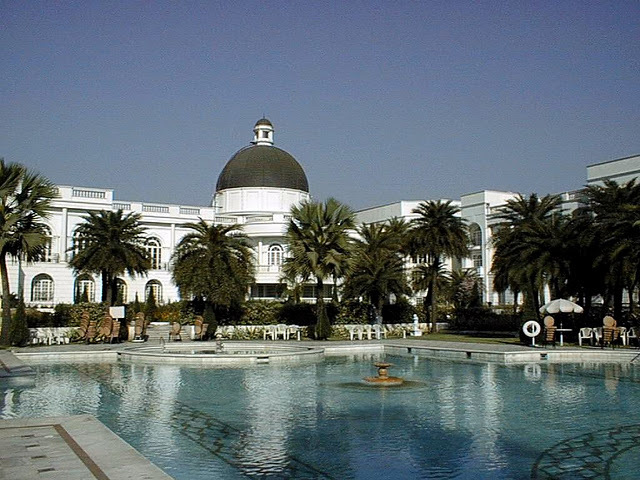 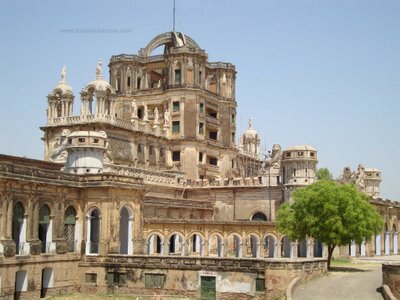 Lucknow tourism brings one closer to the glorious days city, through a visit to its numerous monuments and ruins.